We appreciate that movement transducers form a critical part of any jacking operation and we therefore only use the best aircraft transducers on the market which are then modified to our specification giving a precise measuring range of 25mm. The gauge output signal can be transmitted up to 200 metres from the readout module via the 4-way extension reels, set-up in just a few minutes. The LDVT gauge is mounted within a water proof housing having its own LED display, input socket and magnetic base for easy mounting making them ideal for structural monitoring operations. LVDT gauges have an infinite resolution and can be calibrated to read in microns to measure strain (if required). A strong spring return ensures reliable readings every-time and the suspended plumb bob weight and wire enables direct connection to the actual structure. High accuracy for precision jacking operations. Assist Engineers for structural data and reports Prevents structures sustaining damage. Integrated to synchronised hydraulic jacking system, programmed with design limit criteria. These instrume nts are a precise measurement tool within the monitoring sector, when large structures are required to be monitored through construction project with small tolerance criteria. These instruments are ideal for applications such as bridges, high-rise superstructures, structural steel movement, and to lifting large span objects. These tilt inclinometers are able to be directly connected to our real-time monitoring system and dependent of the sensor, and can typically achieve accuracy ranging for 0.02mm to 0.20mm. These tilt sensors measure the angles of a slop (or tilt), elevation or depression of an object with respect of gravity. 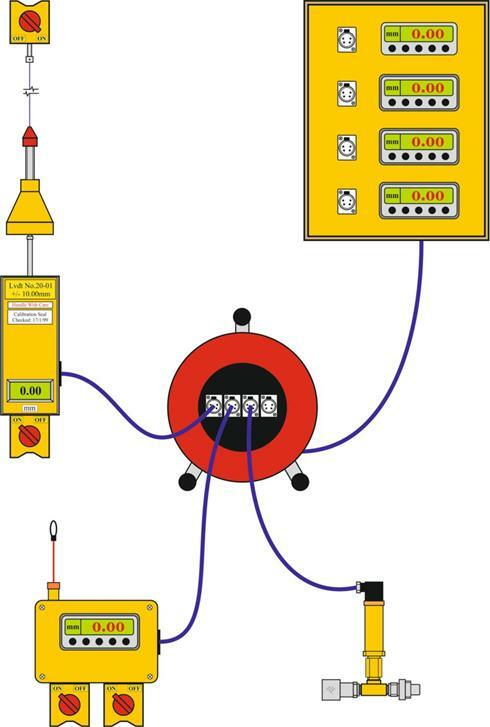 The measurement cable can be connected directly to the moving structure, giving a constant measurement of its linear position. This simple type of measurement device has been in use by Hydra Capsule engineers’ for long stroke hydraulic lifting operations. The electrical signals can then be processed by Hydra Capsule remote displays, and can be incorporated into our digital readout and control software. 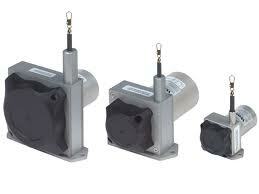 The sensors have a digital output and are easily used for detecting the movement of objects. The sensors’ output which varies proportionally to the sensor to target separation distance, allowing for any number of applications that are require to perform measurements between moving or stationary structures and objects, as part of a monitoring system. Stroke sensors are gaining more popularity because of the ease of set-up and the installation of no connection fixings. Provides precise and non-contact distance measurements within a 300 mm to 500mm range. Measuring length up to 500mm. Accuracy of +/- 1.00mm over full stroke. 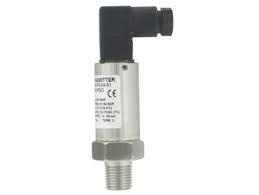 These digital pressure sensors can be interlinked to our digital read-out and calibrated to any hydraulic jack capacities and convert back into kilonewtons (kNs) in real-time format. Our standard 8-way display modules provide multiple real-time readings and can be easily configured to accurately monitor, load, movement, temperature or strain. Each channel has two fully configurable alarms which can be used to send either pre-recorded audio messages via a wireless or standard telephone line or operate buzzers or flashing beacon lights (if required).